On Tuesday, the City Council considered Mayor Rush Hill’s initiative to evaluate the idea of a water taxi in the harbor. Hill used this photo as an example during his presentation and announcement of the idea at the annual Mayor’s Dinner on Feb. 7. 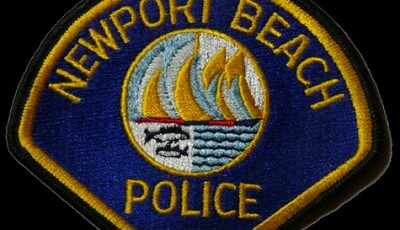 — Courtesy City of Newport Beach. City Council unanimously approved moving forward with a not-so-new idea Tuesday: Water taxis in the harbor. Council voted to direct the Harbor Commission to form two ad hoc committees to evaluate pilot programs for developing a taxi service in the harbor and using a multiple vessel mooring system that includes power and water. The two ideas combine into one of Mayor Rush Hill’s initiatives he hopes to work on during 2014, which he announced at Speak Up Newport’s 33rd Mayor’s Dinner on Feb. 7. “There is not a new idea within this initiative,” Hill said Tuesday. These items have been studied individually, he said. The Harbor Commission has also invested many hours into researching the topic of the importance of public piers, he added. The item was listed under the consent calendar, but Mayor Pro Tem Ed Selich pulled it for a few reasons. 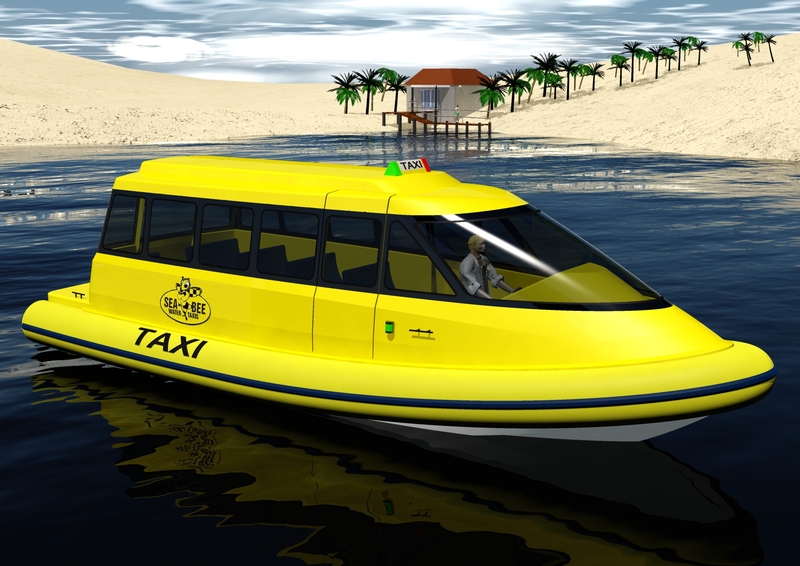 He was concerned that the item directed staff to only consider electric powered water taxis and suggested looking into diesel, hybrids and any other possible options. 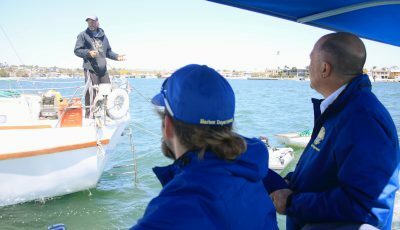 He also suggested that when studying the alternative mooring system the Harbor Commission do some outreach with the residents that live around the harbor. “I think these are two really positive things that we should look into,” Selich said. The item was passed with his amendments. 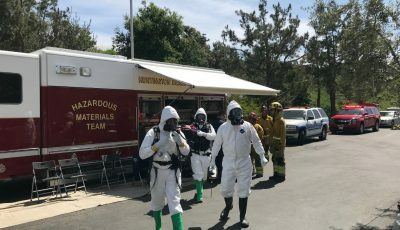 “This is an initiative we do need to take a look at and evaluate carefully and see what kind of technology and costs and service model we can use to do this, ” councilman Keith Curry agreed. With today’s technology, it‘s more and more possible to consider using electric water taxis, said Shanda Lear of Lear Baylor Electric Boats during public comment. Newport Beach could be the “jewel” of the industry by using an ecologically smart and modern approach to getting people around the harbor, she said. An extensive study was done on the water taxi issue by the economic development committee a few years ago, councilman Mike Henn noted. “Hopefully that will give the Harbor Commission a leg up here in looking at this,” he said. This initiative better suited to take place now than it ever has been before because of the recently discussed concept of adding more public docks and with the marketing help of Newport Beach & Co., Hill said. Also during public comments, Eric Langenbach asked if the water taxi would be a private venture or publicly funded. The Harbor Commission will have to work that out, Hill answered. “That’s what came to grief last time,” Gardner said. It will be fairly expensive, warned Harbor Commission chairperson, Duncan McIntosh. “I don’t know that the amount of money you charge is going to support that,” he said. They city may have to look at additional funding or underwriting, he said. Water transportation is among the more expensive modes of transportation, noted Curry, who served on the Transit Administration. Most locations that utilize a water taxi have a subsidy, he explained. “We need to be very mindful of the financial obligations and implications of this as we get into it,” Curry said. It will take a few years before the city will know if it will become self sufficient, Hill said. McIntosh had several other questions for council and wanted some additional direction. 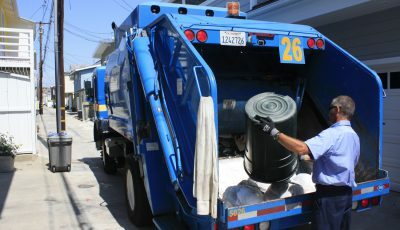 “I think you’re looking at a delivery service on demand,” he said, to deliver people from one point to another The other direction it could take would be giving tours in the harbor for visitors, but that would compete with others already offering that service. It really depends on what the committees find, Hill responded. In the high season it could be a bus that would follow a route and during the low season it could become a taxi service, Hill suggested. It takes about 30 to 45 minutes to go from one end of the bay to the other, McIntosh said, so a number of watercraft would be needed. It will require several boats to be an effective program, Hill agreed. All of the questions and concerns brought up by council members and the public are reasons why the topic needs to be studied further, Hill said. It definitely needs to be looked into further, he said. “The pie gets larger with more people coming, more access to the harbor (and) more opportunities,” Hill said. Mayor Hill needs a closer listen here to Duncan McIntosh, a man with hands on bay and working business knowledge. The “slowboat taxi” cannot work when you start looking at any reasonable numbers. After raising dock permit fees, how much is this taxi service concept is dipping into the permit fee collection jar here? More committees, more chatter, more egos, more costs, the folks that pay on the bay need top billing here, not some doomed subsidized enterprise. Focus on what the bay really needs, like a major clean out and restoration from design depth, biota/fisheries, and major runoff protection. Then humor us with a “dog & pony show”. I do not know of any local boaters who wanted this taxi service to get pushed through and I certainly don’t know of any tax payers who wish to fund the under-estimated improvements necessary to get this service implemented. This is an underhanded way to provide for tourists on anchored cruise ships to have access to the peninsula. Seriously, do we want hundreds of thousands of extra bodies on the peninsula? Have you been in Avalon when a cruise ships empties bodies onto the island? ExplorOcean is pushing for this service so that they can have more tourists come to see their attraction because the residents are not interested. Please do not support or fund the taxi service!